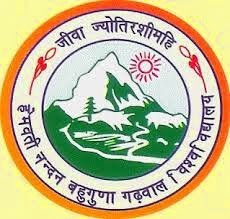 The HNB Garhwal University has recently declared the result of BA 2nd Year Back Paper Examination 2017. The result was declared earlier but many students didn't got their result because it was not updated, So now the full updated result is declared online and all the students who appeared in this examination can check their result online from here. Check out below for HNB Garhwal University BA 2nd Year Back Paper Updated Results 2017. The HNB Garhwal University is a central University of the Uttarakhand State. It is offering various courses to students like UG, PG and many other professional Courses. The University head office or main college is located in the Srinagar Garhwal and many colleges in Uttarakhand are affiliated to the HNB Garhwal University. Every year many students enrolled in this university for their education in different streams. Well, we are here to tell you about the HNB Garhwal University BA 2nd Year Back paper Updated Results 2017. So friends, the result is declared today and now all the students who were waiting for their result can check it online through our website. Here below we are giving you an link by which you can easily check your result online from here. Just follow the given steps to check your result from here. First of all open the given link. You will reach to the result page. after that fill your examination roll number or name on the given sections. after all you will able to see your result there and you can also take a printout of your result from there. Click here for BA 2nd Update Results 2017. Stay connected with us for more updates about HNB Results 2017, Examination and more News.